Have you ever wondered where legends are born? Legends are born at Wizards of the Coast’s Magic: The Gathering Pro Tours, the highest form of competitive play for the premier collectible card game.These top-ranked players enjoy the spoils available to those living the life of a professional Magic player, at four annual worldwide stops making up the Tour. Each event showcases a prize pool of $250,000. In addition, the highest level players are selected to play in the annual World Magic Cup – with an additional $250,000 purse. In all of the tiers of play, there are thousands of participants from around the world facing off to earn the right to play at the professional level so that they too can play the game and see the world. For the past ten years Varvid has been providing online match coverage for Hasbro’s worldwide Pro Tours. 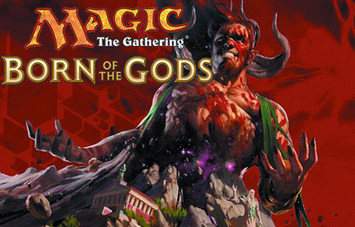 Pro Tour Born of The Gods, Wizard’s most recent tournament, live streamed from Valencia, Spain and garnered almost a million online viewers who tuned in to see the three-day match coverage. Magic The Gathering hopefuls from around the world were watching every move the seasoned hall of fame players made as they dueled for the final cash prize of $40,000. Interested to know when the next Pro Tour will be available to view? Tune in May 16th-17th for the Journey Into Nyx Pro Tour: click here.